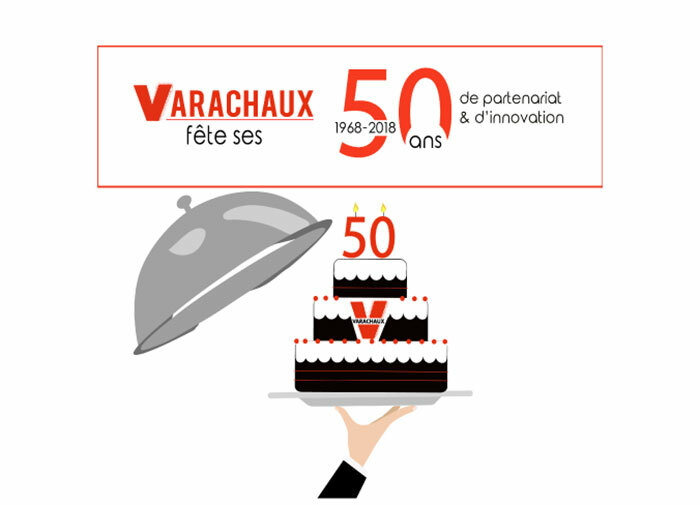 Varachaux is turning 50 ! On the occasion of its 50th anniversary, Varachaux opened the doors of its factory to its employee relatives and former staff members. In small groups, they were led to discover or witness changes in the production lines. PThen young and old went to the Espace Jean Monnet to attend the evening “Varachaux at the movies”. Made up into bigger stars, the guests posed in front of the starry sky of Hollywood or leave their autograph on the “walk of fame”. After a speech by Gilles Varachaux tracing the history of the company, the fifty or so costumed employees marched for the election of the best costume. An Oscar ceremony rewarded the most deserving and original personnalities. Before blowing the 50 candles, Varachaux put on sale a charity calendar of artistic photography. The funds will be donated to the “Sourire à la vie” Association that improves the lives of children with cancer. The evening ended on the dancefloor. This event accentuated the human side of Varachaux, a family-owned SME, and tightened the bonds around all those who participated in the success of the company. This evening focused on the road traveled also reveals new prospects for the future where there wil be many projects of improvement and innovation.